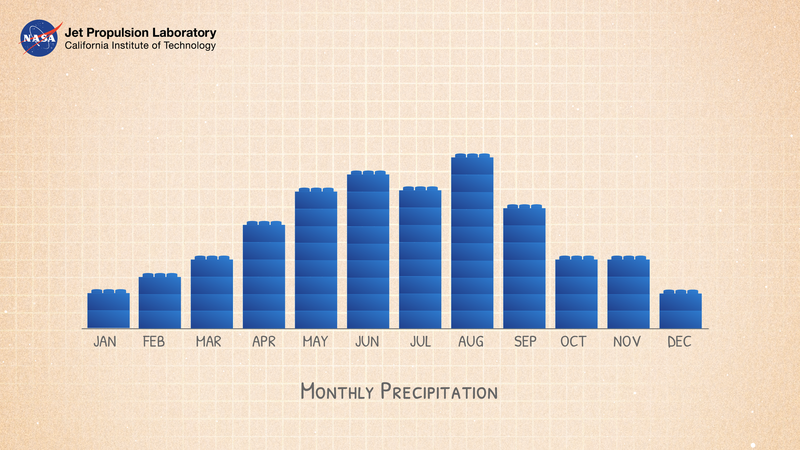 This lesson uses stacking cubes as a way to graph precipitation data, comparing the precipitation averages and seasonal patterns for several locations. Variations on the lesson can accommodate various ages and ability levels. 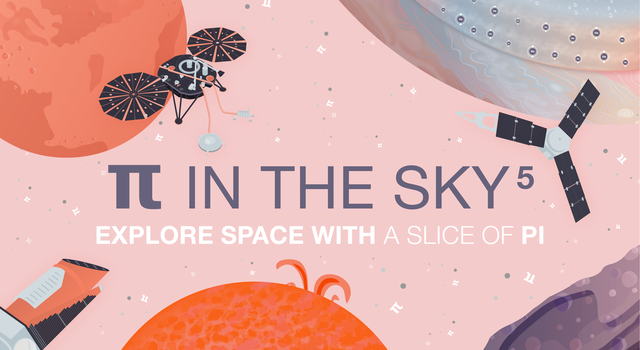 Students can explore weather patterns for the cities below or choose their own cities around the world. If they choose their own cities, younger students will need to see an example of how to tabulate and construct their towers vertically. 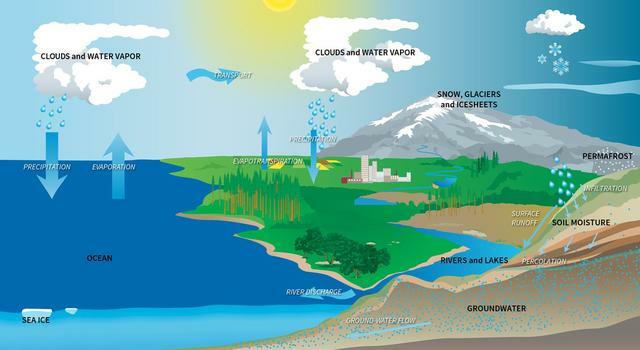 Precipitation happens when any form of water – liquid or solid – falls from the atmosphere down to Earth’s surface. The amount of water that’s deposited from the sky to the ground is not the same throughout the world, a country, or even a city. Some places get rain or snow (or some other form of precipitation, such as hail or sleet) fairly consistently all year, while others may have strong seasonal patterns. And the variation can take place over a short distance. Summer thunderstorms may deliver an inch or more of rain on one suburb while leaving another area dry a few miles away. The world's record for average annual rainfall belongs to Mt. Waialeale, Hawaii, which averages about 450 inches (1,140 cm) of rain per year. A remarkable 642 inches (1,630 cm) was reported there during one 12-month period. That's almost 2 inches (5 cm) every day! But the world record for the most rain in a year goes to Cherrapunji, India, where it rained 905 inches (2,300 cm) in 1861. Contrast those excessive precipitation amounts with Arica, Chile, where no rain fell for 14 years, and Bagdad, California, where precipitation was absent for 767 consecutive days from October 1912 to November 1914. 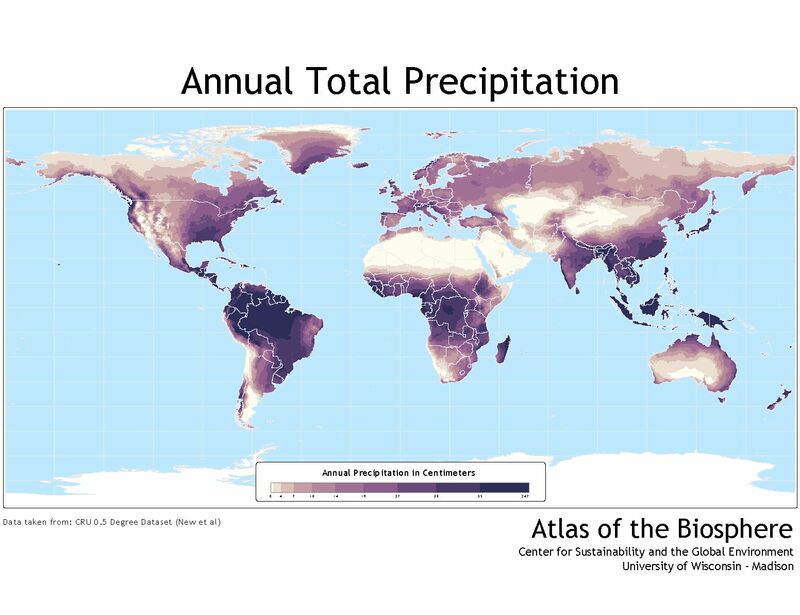 The map to the right shows the world’s average annual precipitation, in millimeters and inches. The light green areas can be considered deserts. A desert is a region that generally receives fewer than 9.75 inches (25 cm) of precipitation. It’s widely known that Africa’s Sahara is a desert, but some surprising places, such as Greenland and Antarctica, are also considered deserts. On average, the 48 continental United States receive enough precipitation in one year to cover the land to a depth of 30 inches (0.76 meters). Have students pick a city from the City Precipitation Templates. 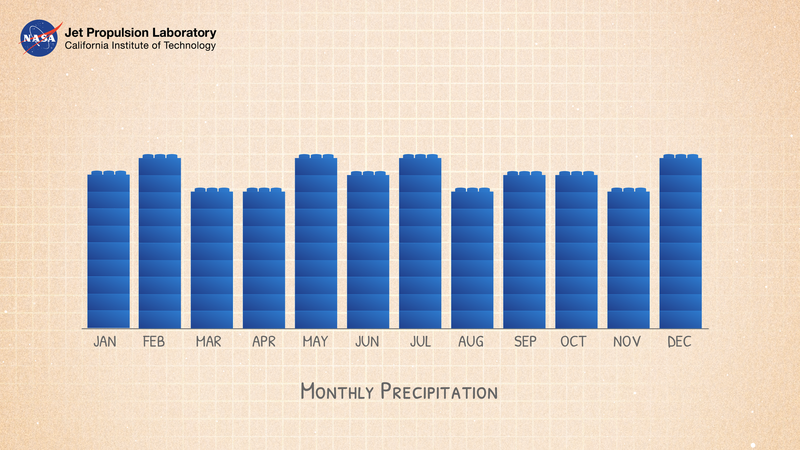 For younger students, cities and their monthly precipitation rates are included. 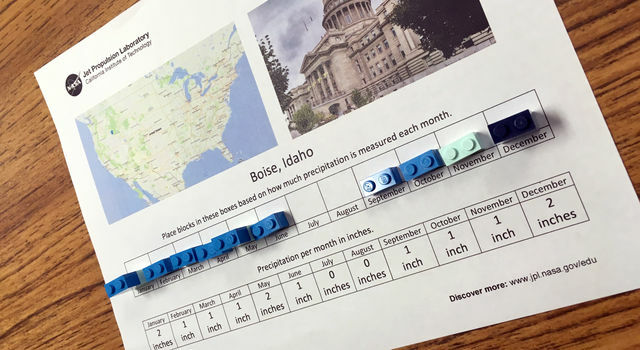 Older students may be able to pick their own city and search online for the monthly precipitation for that location. 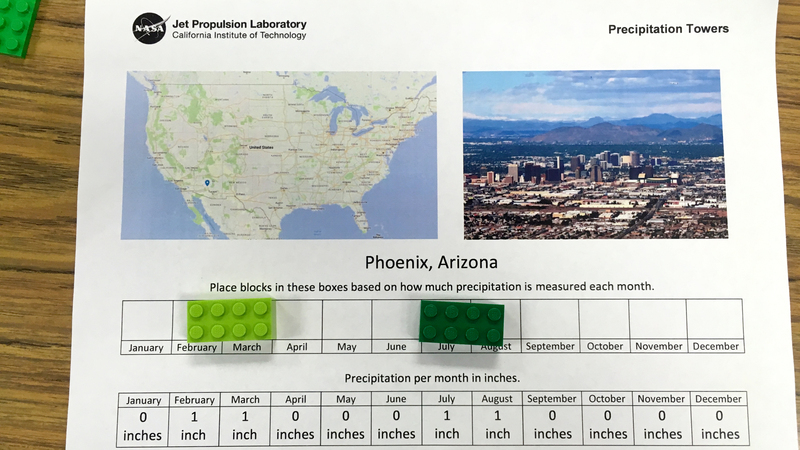 Have students count out cubes to represent monthly precipitation totals and, using the template, place them on the appropriate square for each month. For older students, values are given with decimal points. Have students explore rounding and scale by attempting to best capture non-whole number values. 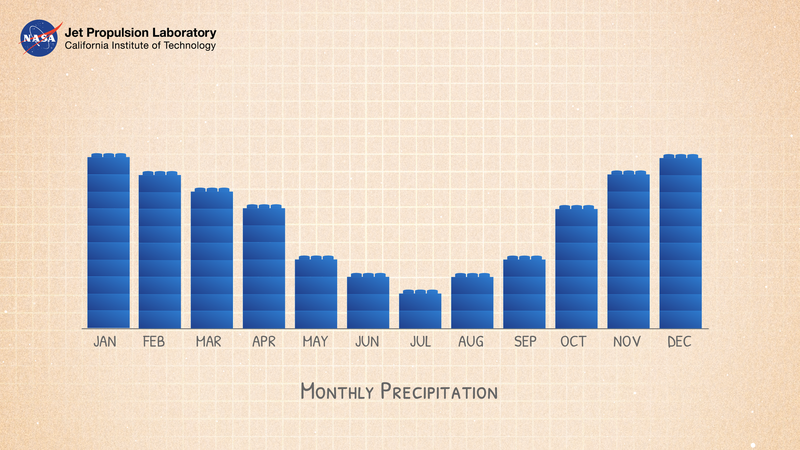 For example, should each block equal 1 inch of rainfall if all of the values are between 1 and 2 each month? Have students calculate the range of their data by subtracting the lowest amount of precipitation from the highest. If appropriate, have them calculate the annual precipitation averages for their location. After students have placed all the cubes, have them look for patterns in the data and record their observations: Which towers are all the tallest? Which ones are the shortest? What does this pattern tell us? For example, what could we conclude from the precipitation graphs shown here? How much difference is there between the wettest and driest month? Calculate the range of the data. Have students build a precipitation tower for another location or work with a neighboring group and compare the two patterns. Is the overall pattern the same? What about the range of the data? The data and observations recorded on the student worksheet could be used as an assessment. In addition, you can have students create a more traditional graph of the data on paper and use that as an assessment. Which locations have similar precipitation patterns? Which are very different? What additional information would you need to know to determine whether the towers represent rain or snow? What are the impacts of having too much or too little rainfall in a season or in an entire year? Storms in the higher latitudes (both north and south) move west to east, while storms near the equator move east to west. Areas of snow are represented by the blue/purple scale, while rain is represented by the red/yellow/green scale. Large frontal storms form in the higher latitudes and smaller, shorter-lived storms form near the equator. The way that storms rotate and the direction they rotate in the Northern vs. the Southern Hemisphere. Note: some hurricanes are visible near Japan and in the Pacific approaching Hawaii in early August 2014 (zoomed in versions here and here). 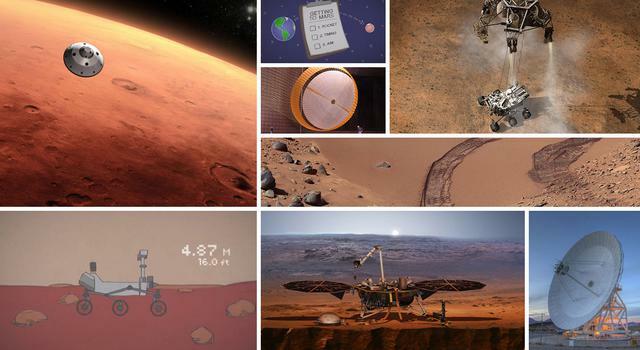 Narrated videos discussing this dataset are available here and here. "Too Much, Too Little" (Runtime: 4:45): Researchers need accurate and timely rainfall information to better understand and model where and when severe floods, frequent landslides and devastating droughts may occur. NASA’s Global Precipitation Measurement, or GPM, satellite’s global rainfall data will help us to better prepare and respond to a wide range of natural disasters. "Assessing Drought in the United States" (Runtime: 6:06): This animation from the Community Collaborative Rain, Hail and Snow Network shows how decision-makers use a variety of data and in-person reports to assess the drought conditions across the United States. “Science for A Hungry World: Growing Water Problems” (Runtime: 4:54): One of the biggest changes to global agriculture is less about the food itself as it is about the water we use to grow it. In some areas, farmers are using freshwater resources – including groundwater – at an alarming rate. Directly compare two objects with a measurable attribute in common, to see which object has "more of"/"less of" the attribute, and describe the difference. For example, directly compare the heights of two children and describe one child as taller/shorter. Draw a scaled picture graph and a scaled bar graph to represent a data set with several categories. Solve one- and two-step "how many more" and "how many less" problems using information presented in scaled bar graphs. For example, draw a bar graph in which each square in the bar graph might represent 5 pets.